A strategy to accumulate assets through blacklisting. Example: Set an amount you would like to accumulate in USDT. We can use 100 USDT for this example. 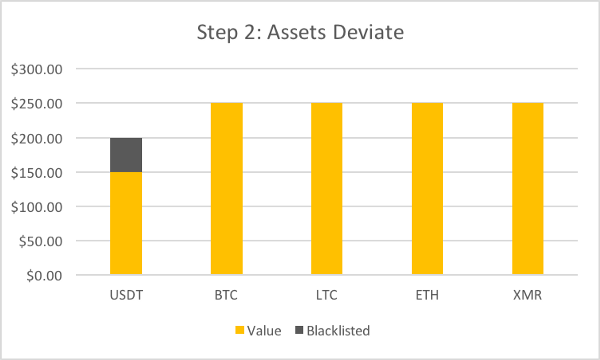 Next, set a small percent allocation of USDT. 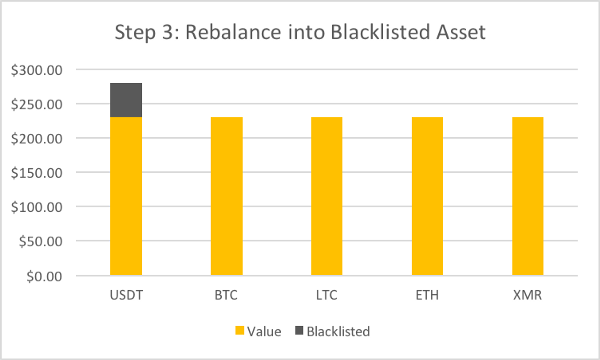 We can use 1% in this example.Result: Every rebalance will buy USDT until you own 100 USDT + 1% of your total portfolio in USDT. 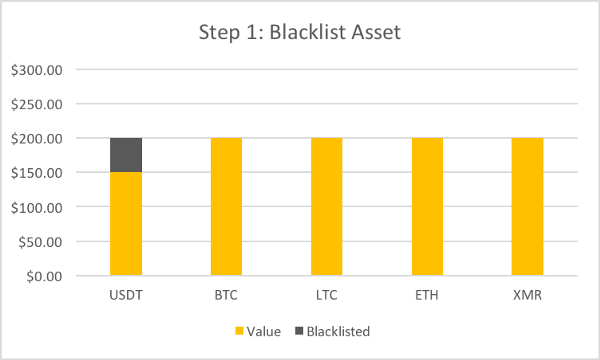 Then, raising the USDT blacklist to 200 USDT, will accumulate more USDT.